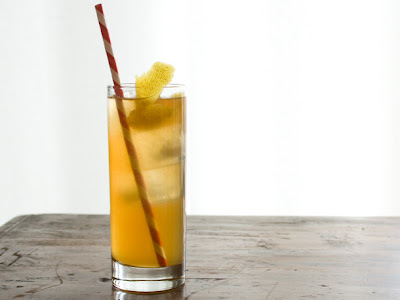 Mmm, this Smoky Iced Tea and Whiskey Cooler sounds like the perfect summer drink. There aren't enough whiskey-based summer cocktails, in my opinion. So yeah, I want this and I want it now. Well, it's actually muggy and gross right now, so I'm not sure what the appropriate cocktail is for weather that feels like soup, but you get the point. Sooner or later it'll get warm and sunny and I'll want this drink, probably in large quantities.